Still have this happy feeling inside me, about the fact that I squatted (half) suit yesterday. 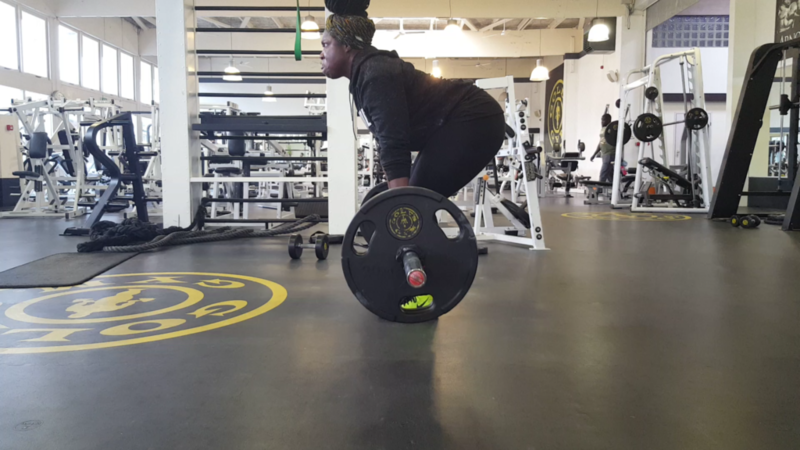 First (half) suit training squats and sumo deadlifts after more over a year…..
Today I had my 1st (half) suit training, since January 2017 (just before my operation)…….. Three words to describe this feeling………. IT FELT AWESOME….. like a little kid in a candy shop or toy store 😀 ……….. Most important thing to know when you start up your suit training: don’t be obsessed to hit the right depth on your first suit training…. Start to get used wearing the suit and treat it like it is your friend. The suit is made to help you squat bigger weights….. just like the feeling of insecurity. This feeling is your biggest friend when you give it a place to be there and support you, to give all what you have got. All of your feelings are there to help you at the moment you feel it. The feeling of insecurity is there, because that moment is important for you and feeling the feeling of insecurity gives you the opportunity to focus on your technique to fullfill your goals…. 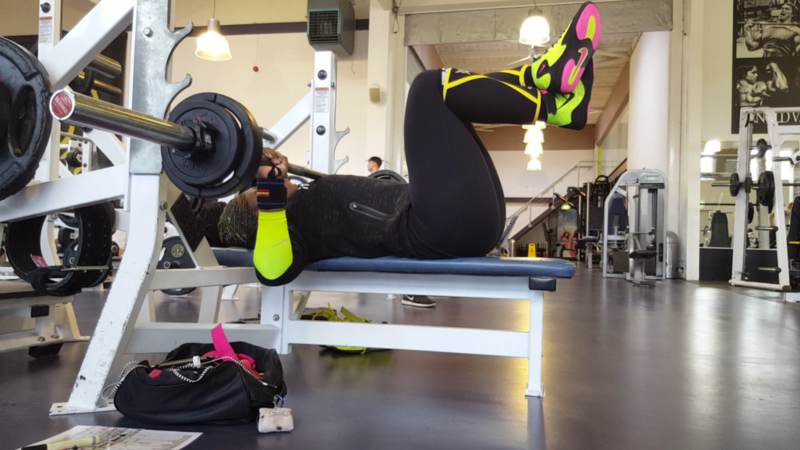 Nothing more or less…..in the beginning and at the end feeling insecure is your biggest friend like failing is your biggest master 😉 please read the final blog of Iris aka powerlifter.nl, click here! Sumo deadlifting with (half) suit is a NO GO for the future. It was nice to do, only I felt to much pressure in my head at the start of the movement till the lock out. So I’m pleased with this result, so I can continue the way I did with my conventional deadlift where I control my breathing and pressure very well. Last week I deadlifted 242,5kg, so 250kg+ will be possible in the future. I started the training with wobbly squats instead of 15kg dumbell (each side) I added 35kg dumbells (each side) just for fun 3×3 130kg (total weight) with pause 🙂 and deadlifting 3×2 190kg. This I had a ligth weight session, ofcourse 😉 And I added bands with dumbells and chains to the excersises squats, deadlift and bench press. Below an impression of today’s training. Also I had an appointment for my sleeptesting for tonight. Looking like the man of six million dollar 😀 ……. I thought by myself…. I can also visited the trainstation and just walk around without my jacket…… Curious what they call a measure during the night and what the outcome will be of this test. On 19th Februari I will know more….. Still pleased with my result of yesterday meet. 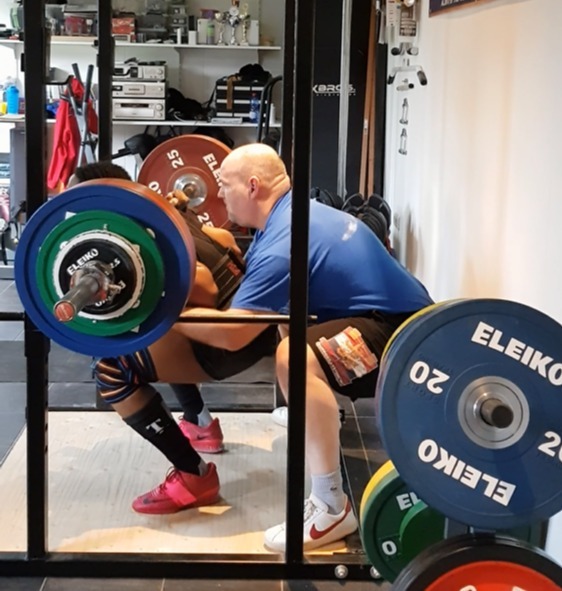 Most of all that I’m lifting on the platform again….. and now I have to wait for the first upcoming meet in September 🙁 😉 Blog of yesterday meet, click here!